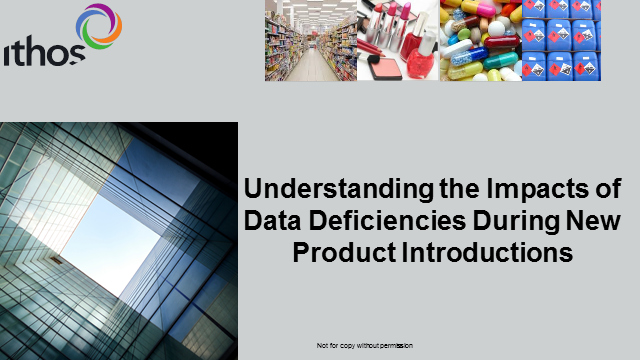 This webinar addresses the causes for information deficiencies that create product launch delays, reformulations, unexpected expenses and business risks from launching a product that is not 100% compliant, why the deficiencies exist, and how to solve them. Discover how our innovative Glucotain range helps you develop cleansing and shampoo formulations while minimizing cost-performance drawbacks and improving the naturality of your formulations. Meiview™ is the first active ingredient in the market with a 360º activity covering dark circles, eye-bags, wrinkles, and also provides an eyelid lifting effect. The efficacy has been proved in both men & women, following the non-gender disruptive trend. •Bacillus ferment extract obtained from an extremophile microorganism that prettifies the eye contour area. •Meiview™ decreases wrinkles, eye bags, dark circles & it has a tensor effect on eyelid-sagging. •Its 360º activity covers the men and women needs and their skin eye concerns. Munapsys™ is a botulinum toxin-like peptide that acts both in the pre- and post-synaptic pathways modulating muscle contraction and thus reducing expression lines and lifting sad smiles. Munapsys™ has been awarded with the Bronze Best Ingredient at in cosmetics North America. Peter Huefner, General Manager, Midwest US, Chemspeed Technologies Inc.
Formulation labs face an increasing demand for high throughput experimentation due to a number of challenges such as: a lack of reproducibility and traceability in manual procedures, the need to bring products to market faster and regulatory bans on raw materials and additives. Highlighting Chemspeed’s FLEX FORMAX workstation, the latest technology in automated formulation developed in collaboration with L’Oréal! Stress and exposure to blue light can disrupt the skin’s 24-hour clock – or “circadian rhythm”, leading skin to be more prone to aggressions. Inspired by Nobel Prize, B-Circadin™ resynchronizes the skin’s well-being clock altered by stressful lifestyles. This presentation will show the latest solutions in the field of protection of cosmetic formulations against fungi and bacteria. A specific focus is put on preservative free protection and on preservation at high pH values. Because not all dry and damaged hair is the same – Clariant presents the Genadvance™ range of 3 innovative ingredients that beat conventional quats in conditioning performance and target individual needs. Additionally, experience novel formulation formats. LipoTrue presents one of its 2018 launches, a biomimetic peptide of Versican. Versillin™ anchors and fastens skin ligaments, repositioning these beauty columns to enhance skin firmness, reinforce skin viscoelasticity and ultimately to reposition your skin. More and more developers are trying to formulate silicone-free. Synthetic isoparaffins are an ideal replacement. In contrast to standard paraffins, they are highly branched, which results in a very benefitial skin like feel. Your home is surrounded by indoor pollution which triggers irritation process and leads to atopic-prone skin conditions. Eosidin™ - an extract of citrus unshiu, is able to highly decrease skin effects such as skin barrier disruption and visible reactivity. Existing natural antioxidants do not perform similar to synthetic alternatives like BHT. This novel natural blend StoppOx provides even better performance in product protection than BHT. Especially the prevention of formation of possible fragrance allergens by oxidation and obstruction of irritants from lipid and fragrance. - Innovative natural-based hair active for durable sealing of split ends from shampoos and treatments: up to 80% repair at first use! Attend this Online Conference, sponsored by AMA Laboratories, to discover the latest trends and opportunities in the global Suncare industry directly from the experts. The global suncare category continues to evolve in line with consumer concerns over health and appearance. This presentation will explore the global consumer attitudes shaping the suncare category and highlight key trends and opportunities for future innovation. This section will focus on case studies of some of the most innovative products we’ve seen within the suncare space, providing insights and analysis into how they have effectively met consumer needs such as through marketing and product formulation. Don't miss out on the unique opportunity to ask any questions you may have directly to Canadean in a live Q&A session after the presentation. Plantasens® Olive Active HP offers a powerful and 100% natural response to our ever-increasing desire to preserve the skin’s natural beauty for longer. The olive-derived active ingredient helps to counteract two important physiological processes, glycation and lipid peroxidation. These contribute to many of the signs associated with skin aging, such as wrinkle formation, skin thinning, and loss of suppleness and hydration. Let’s discover how Plantasens® Olive Active HP can protect skin from the age-induced damages. Spec-Chem Industry Incorporated are hosting an exclusive Online Innovation Seminar. Learn about the unique benefits of 10 multi-functional Chinese herbs. These ingredients help to smooth skin lines and wrinkles, boosting collagen levels to improve skin elasticity and firmness, resulting in bright, smooth skin. Each ingredient has around six functions, creating an intensely powerful cosmetic formula. Find out more by tuning in. The Spotlight on Skincare Online Conference brings together renowned research organisations, personal care ingredient manufacturers, testing companies, regulatory experts and finished product manufacturers & brands to discuss topics crucial to their businesses. Speaker: Brian Ecclefield, International Sales Manager, AMA Laboratories, Inc.
An overview of some of the current methods for substantiating cosmetic and skincare related claims and a comparison of some of the market nuances around the globe. Allergic reactions are on the rise in the developed, clean world. The reason is an unbalanced immune system with a prevalence for the IgE-mediated reaction, also called the Th2 arm. Typical signs on the skin are eczema which is very dry, irritated and inflamed skin. Magnesium Carboxymethyl Beta-Glucan, a derivative of a baker’s yeast polysaccharide, was found to correct the inbalanced immune reaction. This kind of archaic molecule helps us to react to allergens with an adequate, harmless Th1 response. Different reconstructed skin models were used to demonstrate the mechanism of action of the Magnesium Carboxymethyl Beta-Glucan. This Online Conference focuses on current issues within the Haircare industry. Keynote presenter Oru Mohiuddin (Senior Analyst, Beauty and Personal Care) from Euromonitor International will begin the conference with a discussion of the global outlook of the haircare market, trends in haircare and regional differences, and consumer behaviour in terms of product preferences. This session will be followed by presentations on hair loss solutions by Dr. Fred Zülli (Managing Director) and Dr. Daniel Schmid (Head of Research) from Mibelle Biochemistry. As Mibelle Biochemistry have identified, hair loss problems affect both women and men and is based on different causes. One important factor is an increased sensitivity of hair follicles to the androgenic hormone dihydrotestosterone (DHT). The enzyme 5-alpha reductase promotes the conversation of testosterone to DHT. Therefore inhibitors of 5-alpha reductase have a long history in anti-hair loss products. Hair loss, however, can also be the effect of an imbalance of the hair growth cycle leading to an extended telogen (resting) phase and a shortened growing phase (anagen). Stimulating Noggin expression is a new target to initiate a new hair growth cycle. In our studies we could show that natural extracts can influence all these mechanisms and decrease hair loss in volunteers. Comparative analysis for the prediction of the shelf life of a dispersion according to ISO/TR 13097 is discussed for a oil-in-water emulsion. A sample, breaking after two months, is compared with a stable sample of identical chemical composition and application in few minutes measuring at higher gravity and higher temperature. This presentation looks at two categories where visualisation of changes in homogeneity and sedimentation are especially important: zinc oxide-based sun care and nail polish. It will show how STEP-Technology in LUMiReader X-Ray allows real-time separation and consolidation fingerprinting. It will discuss sediment analysis in nail colour and homogeneity in sun protection creams after accelerated separation in a LUMiFuge or LUMiSizer (ISO/TR 13097). The in-cosmetics channel broadcasts live webinars and presentations for the personal care ingredients industry. Log on and watch experts present the latest solutions, ingredients and formulations and ask your questions straight away in a dedicated 15min Q&A Session. The Online Innovation Seminars are available on demand after the broadcast!